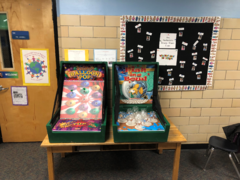 Jump into the fun with Dizzy Party Rental! 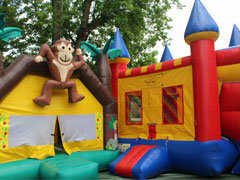 For the best bounce house rentals Fort Collins has to offer, Dizzy Party Rental has you covered. We have a great selection of bouncers, combo bounce houses with slides attached, as well as lots of fun inflatable games and more. Our Safari Combo is perfect for turning your backyard into a tropical oasis. With it's beautiful design, your guests will feel like they are vacationing in Hawaii. Our Justice League combo is perfect for your crime fighting super heroes. 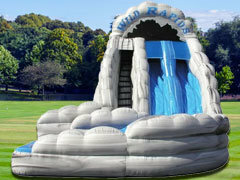 Click below to browse our extensive collection of inflatable fun. We take pride in providing all of our customers with the best experience possible. 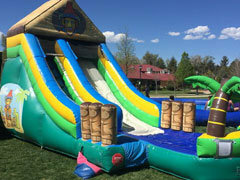 With clean, safe inflatables, it's easy to see why Dizzy Party Rental is the #1 choice for inflatable fun in Fort Collins. Our professional staff is also always happy to answer any questions you may have. 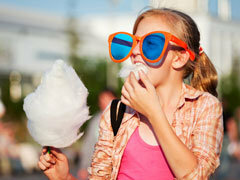 Thank you for looking and we looking forward to making your next party or event a memory that will last a life time. Click here if you're ready to bounce! 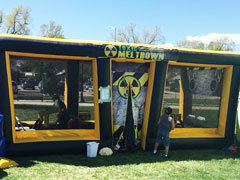 Click below for more of the best bounce house rentals Fort Collins has to offer.